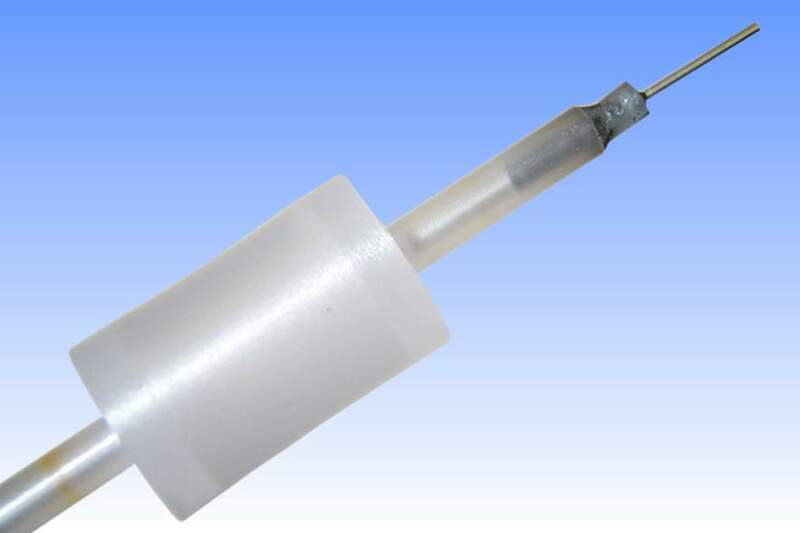 This product represents the pinnacle of ceramic metal halide lamp performance, with the outstanding photometric properties being matched by unsurpassed lamp reliability. Early mortality and through-life survival have been reduced to remarkably low levels with this design. The principal technological advance in this lamp has been achieved through the use of Cermet end seals. There is no metal wire to penetrate the ends of the arc tube and the probability of seal leaks is dramatically reduced. The cermet seals consist of an electrically conductive ceramic-metal slug which is sealed into either end of the arc tube. A short sleeve of alumina is fused over the outside of the cermet piece to protect its weld to the outer lead wire. The cermet expansion coefficient is almost a perfect match with the arc tube material, therefore very low stress levels are present in the seals and cracking is very unlikely. Chemical corrosion leading to seal leaks is also reduced with this design. Around the outside of the arc tube is affixed a length of molybdenum wire, spiralled around each leg to act as an ignition aid. To enable open fixture operation, the arc tube is shrouded in a heavy-walled quartz tube which will prevent the outer jacket from shattering if the arc tube should explode in service. 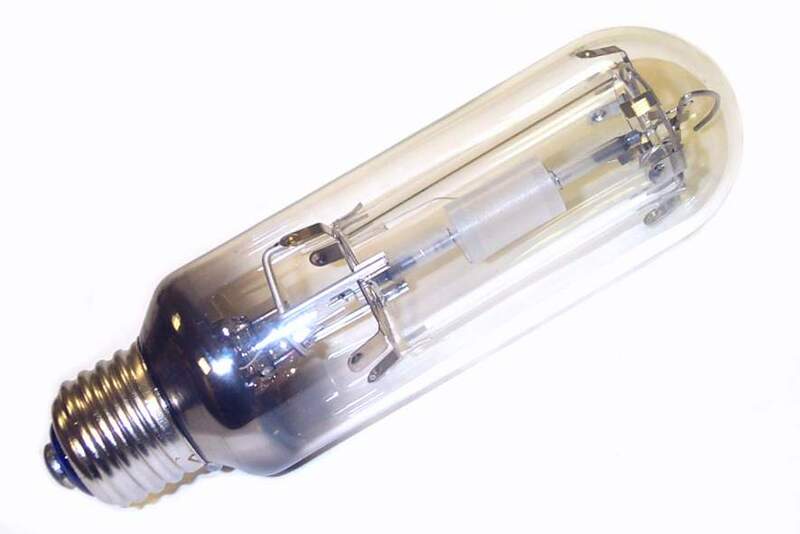 As is standard for Japanese compact metal halide lamps, the bulb is the usual 40mm diameter tube equipped with an E26s screw cap. 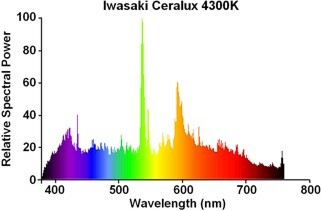 The spectral output, delivering a colour temperature of 4300K, has been specially adapted to suit the skin tones of Japanese people and delivers a more natural effect, achieving a very high colour rendering index. 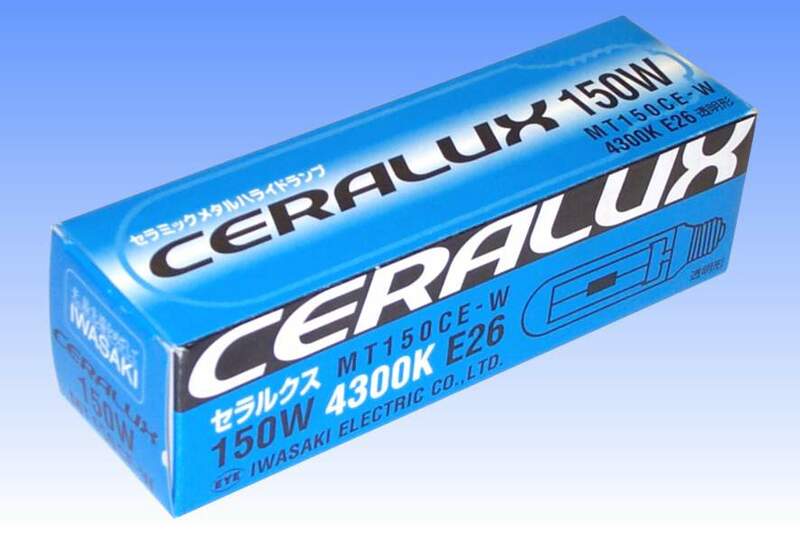 Manufacturer: Iwasaki Electric Co., Ltd.
References: 1) EYE Ceralux Brochure (Japanese), February 2002.